During the mid-eighties plans were under way to establish a police museum in Muizenberg, Cape Town. 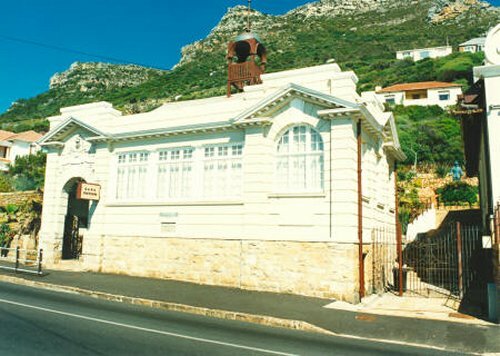 Permission was granted that the old Muizenberg Police Station and the adjoining old magistrate’s court could be used to accommodate the museum. Captain J Schreuder was appointed to begin collecting historical articles and to equip the museum full time. These activities were performed with the full cooperation of the curator of the Police Museum in Pretoria, under whose command the new museum would fall. The Muizenberg museum was officially opened in June 1990 and currently has a staff of three. Inspector Johannes Pietersen is the curator. The museum was opened on June 21 1990 and is situated on Main Road. It consists of the old police station and court building. Antique furniture, uniforms and various old police items are part of the exhibition. There are depictions of notorious criminal cases in the old court building as well as the old charge office. A courtroom, with cells below, gives school groups the opportunity to act out the court procedures. Het Post Huis is also part of the museum complex. It was originally used as a lookout post for enemy ships entering False Bay. Two coins dated 1680 and 1736 as well as the side plate of a VOC muzzleloader are also on display. The battle of Muizenberg is also depicted. No entry fee – free to all.